In 2010, Ms. Licata was recognized by MyBergen.com as one of their “Bergen County Teachers Making a Difference.” In 2011, Rutherford UNICO, a chapter of the national organization, awarded Ms. Licata the Millie Grazie Award, which recognized individuals promoting a positive image of Italian-Americans in the community. With more than 17 years of leadership and management experience in the education and business arenas, Stephanie is a skilled educator, coach, program director and speaker. Having spent a good portion of her early adulthood working in a management position in the field of marketing, she transitioned to full-time work in education and youth leadership programming in 2001. 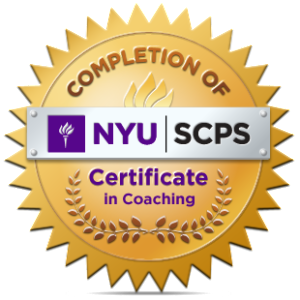 Stephanie received her professional coaching certification from NYU and is also credentialed at the ACC level with the International Coaching Federation. She also has a BS in counseling from SUNY Empire State College and a Masters in Social & Organizational Psychology from Columbia University. In 2013, she completed a ten-year incredible journey as a service and leadership program director at an all-girls high school. Her specialty became mentoring young women in the areas of service learning, philanthropy leadership, and preparing for life in the professional world. While there she also created and taught two courses: personal leadership for 9th-grade girls in the guidance department, and organizational leadership and management for high school seniors in the business department. 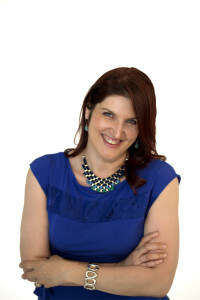 In her “spare time” Stephanie snuck back into the business world in 2007 as a coach and consultant. She has served as the Directory of Programming & Membership at DailyWorth, the leading financial media company for women and currently leads leadership and management trainings for the Native American community all across the U.S. In addition she does private career coaching through her company SoundChange. With more than 15 years of leadership and management experience in the education and business arenas, Stephanie is a skilled educator, coach, program director and speaker. Having spent a good portion of her early adulthood working in a management position in the field of marketing, she transitioned to full-time work in education and youth leadership programming in 2001. In 2013, she completed a ten-year incredible journey as a service and leadership program director at an all-girls high school. Her specialty became mentoring young women in the areas of service learning, philanthropy leadership, and preparing for life in the professional world. While there she also created and taught two courses: personal leadership for 9th-grade girls in the guidance department, and organizational leadership and management for high school seniors in the business department. In her “spare time” Stephanie snuck back into the business world in 2007 as a coach and consultant. She is now the Directory of Programming & Membership at DailyWorth, the leading financial media company for women. In addition she does private career coaching through her company SoundChange.